Many brides and grooms will tell you that one of the most important things that they wanted to get right on the big day was the transport. 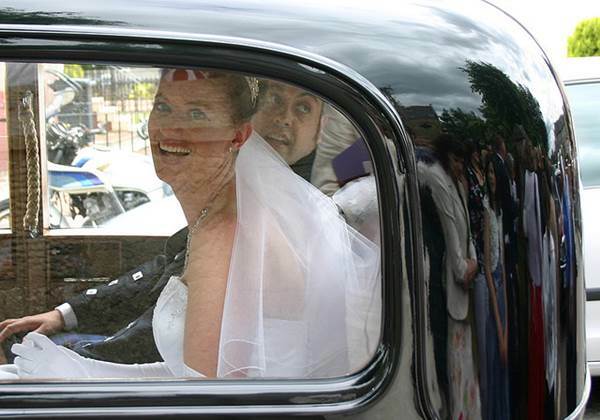 What bride would want to arrive at their wedding in the back of a last-minute mini-cab? 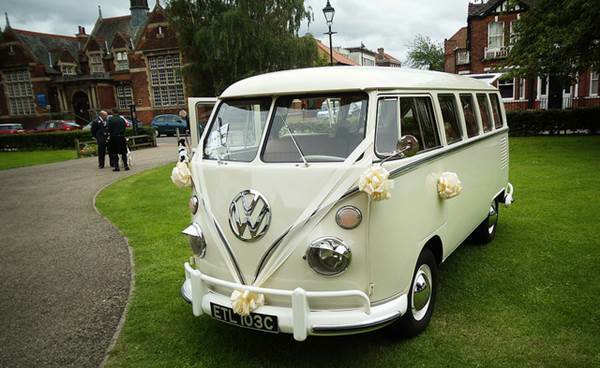 The iconic Volkswagen Campervan is the wedding vehicle of choice for many a bride and groom. One reason for its popularity could be that Splitscreen Camper model, everyone’s go-to image of a VW Camper, comes in a variety of colours. For a bride with a strong colour theme, this can be a dream come true; bridesmaids dressed in pale green photographed next to a pale green and white Splitscreen Camper – wedding photo heaven! Another reason may be down to what a Campervan symbolises; freedom, life on the open road, nostalgic memories of childhood camping holidays etc. 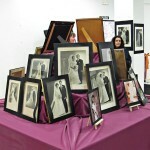 Vintage cars such as Rolls Royce, Bentley and Daimler models are the more classic, traditional choice for wedding cars. 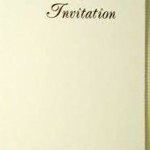 Their timeless class and style makes them a popular choice among brides and grooms that have chosen a traditional wedding theme. Most of these classic car models are available in wedding-friendly colours like white, cream, powder blue etc which adds to their appeal as they look great in wedding photos. 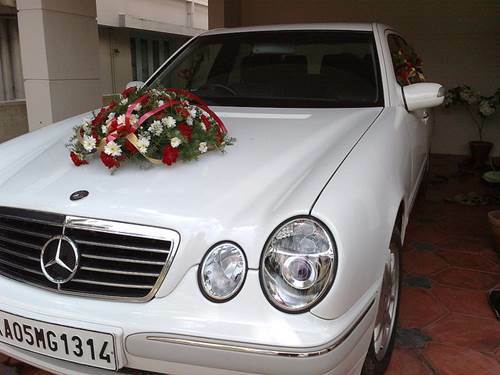 If you’re not into classic luxury cars, and want something more modern with a sleek appearance and the technology to provide a much smoother ride to your wedding, then a modern luxury car such as an Audi A8L or a Mercedes-Benz S-Class is the perfect choice. When I got married last year, my wife and I both agreed that we wanted a modern themed wedding so we chose to travel in style with a prestige chauffeur driven BMW 730D from PCC Hire. 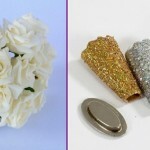 This is one of the best ways to make a memorable entrance to your wedding. A horse and carriage is probably best for brides that don’t have too far to travel as it’s not the quickest method of transport! 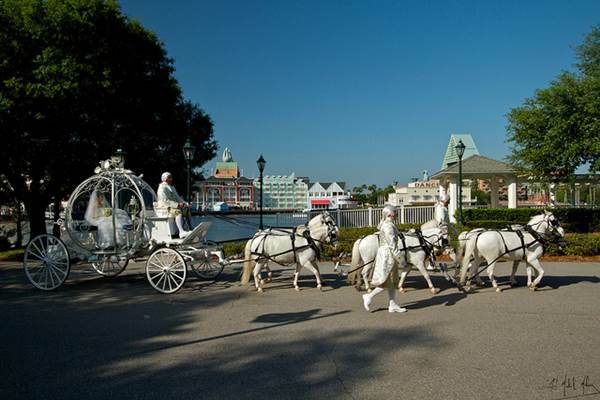 But for any bride and groom with a period wedding theme, a horse-drawn carriage will fit the theme perfectly. It’s the perfect way to arrive at a period-themed wedding at a stately home in the country. 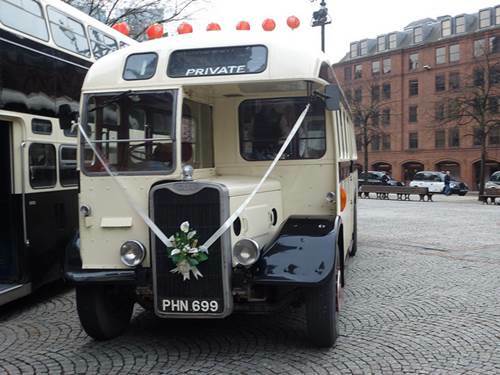 If you’ve got a large bridal party, then a vintage bus is the perfect way to arrive at your wedding as there’s plenty of seats for all of your bridesmaids and plenty of room for a big dress! Hiring a vintage bus is also a great idea if you have lots of out of town guests or if the reception venue is some distance away from the ceremony venue. Providing a bus or two to ferry your guests between locations means that everyone can participate in the Champagne toast without having to worry about driving home later! 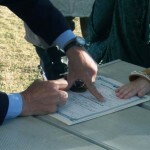 Romance And Marriage – Did You Agree To A Pre-Nup?